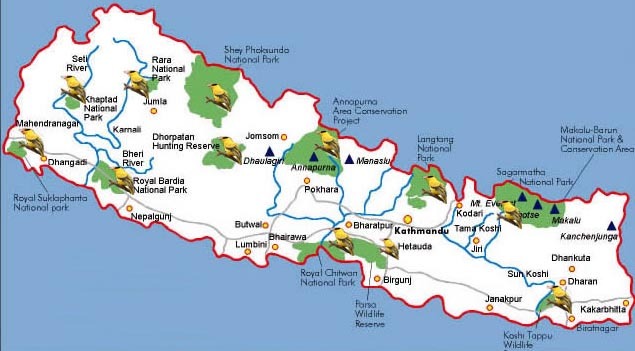 This trek is for those wanting to escape from the popular regions of Annapurna and Everest Grade 3 maximum altitude 4600m departs daily from October to May for 2 persons. Between Kathmandu and Pokhara are three major groups of peaks: Ganesh Himal, Langtang, Manaslu and Himal Chuli and the large Annapurna Himal. This trek is ideal for those wanting to escape from the more popular regions of Annapurna and Everest. 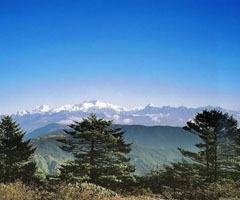 It is famous for unspoiled Tamang culture, spectacular views of mountains and colorful rhododendron forest. Day 2: Short sightseeing in kathmandu and ready to go trishuli by bus. We drive to trishuli in the morning and have lunch near the Trishuli Electricity Dam. After lunch we walk for about 3 hours to Salangkhu Khola and camp. Day 4: Salangkhu Khola – Balche Village an easy walk and then a short climb takes us to Kalaeale village for lunch. After lunch we proceed to the big Tamang village of Balche for our overnight camp. We take an easy walk from Balche village through a forest and camp with the peaks of Langtang Lirung and Gosainkunda in good view. We walk through rhododendron forest to camp either at Rupchet, a cattle pasture, or up on the Singla pass (4500m.) The Singla pass offers spectacular views of Langtang Lirung, Ganesh Himal, Baudha Peak, Himal Chuli, Machhapuchhre and South Annapurna and Annapurna II. We walk up the Singla hill following small trails to Pangsung for our overnight camp. The view from here is spectacular. Village We walk down through pine and rhododendron orest to the tamang village of serthung and set up camp with good views of mountains all around. A short trail and then a gradual descent through Barang Village and then crossing the Akhu Khola takes us to Laba, a big Tamang village. We climb gently over a hill and then descend through forest to camp at Mongeythanti. Village a gradual walk down through forest with lunch by a stream brings us tour camp at Dumchet village. Day 12: Dumchet Village – Budhigandaki. We take a gradual walk today to Baseri and camp near the Budhigandaki River. Day 13: Budhigandaki – Aroghat Bazaar. We walk along the bank of Budhigandaki River and stop at Arughat Bazaar for the night. There are teashops and a police station here. Day 14: Aurghat Bazaar – Khanchowk Danra. We gradually climb the Khanchowk Danra crossing the Mukti Khola and camp for the night. Day 15: Khanchowk Danra – Gorkha. We cross a ridge today and walk gradually up hill to Gorkha, camping near the old palace. Day 16: Gorkha – Kathmandu. We have a tour of Gorkha Palace, the palace of the King Prithivi Narayan Shah who united Nepal in 1881 AD and visit the Bazaar, before driving back to Kathmandu.